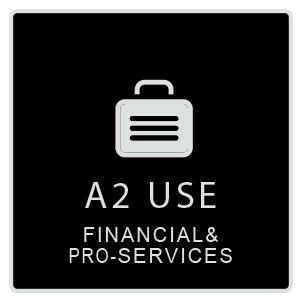 WHAT USES DOES A2 USE CLASS COVER? [*As listed on the Planning Portal. The Planning Portal carries more authority than other private lists, although it is worth checking the existing and proposed use class name for a premises with your Local Planning Authority (LPA). LPAs’ policies carry the most weight, although the Planning Portal is our most reliable generic guideline. Follow the link to see the Use Classes order 2017]. Generally, a healthy rate of changes of use this reflects a diverse and vibrant local economy, and encourages and enables new business start-ups. This is especially beneficial in cosmopolitan areas such as the capital, in order that the diverse population can purchase preferred food items fairly locally. In addition, it encourages and enables new business, providing planning policies are observed. An example of a change of use from A2 use class (bank) to B1 (offices), although this did not have a planning application as the bank had been closed for some time. This may have come about because of the dearth of parking on the High Road, or perhaps the bank had decided to merge branches. The interior of the bank was very dated, but the company that took over for office use did not refurbish the premises. They moved offices again to a modern building elsewhere. After that, the building was overhauled and the exterior was replaced by a modern and colourful new façade. This was actually quite important architecturally, as it significantly improved the High Street. The planning application was a change of use from vacant office building (B1 use class) to health centre (D1 use class). Part of the exterior decoration was in a bold red which was especially pleasing considering how dated the original building had become. There was then another change of use from B1 use class (offices) to D1 use class: medical & dental clinics (the dentist had been previously located in a building diagonally opposite, which in turn had had a change of use application from use classes C3(residential) to D1 (clinic). A few years later, the new building was repainted to mint green which looks fine, although subjectively some may have preferred the red. It later changed hands again to new owners, although it still in D1 use as a GP clinic, dental clinic and family planning clinic over 3 floors. Other examples of planning applications with A2 use class: 1: A building society (A2 use class) changing to retail (A1 use class) (this was because the Woolwich was devolved to merge with Barclays. The premises was taken over by Superdrug.) 2: An estate agent (Firmstones) premises changing use to off-licence (retail, A1 use class). 3: Another estate agent (Halifax) needed a planning application to update their signage with illuminated fascias. This was not a change of use but exterior façades do need planning applications, even if it is not a conservation area. If you have a premises and are wondering what your chances of getting planning approval for your intended use, give us a call. Commercial Architecture can go through your proposal for no cost, as our consultations and quotations are always free of charge. If you call the council, it may be difficult to get through. The timelines and workloads in the planning department mean that the officers may not come back to you quickly, or there may be a fee for their time. Also, you may get an officer who is fairly junior. If you are wondering how to find out the planning use of a property, it is worth hiring a planning consultant to ensure success for your commercial planning application to ensure success and save you fees. We have years of experience of planning submissions for commercial applications with London and beyond. We know the policies and we have good working relationships with many of the planning departments. Do call us and we will be happy to help. Our fees and services offer good value and efficiency.